Chairman of Anbar Investment Commission, Mr. Mahdi Al-Noman, met with H.E. 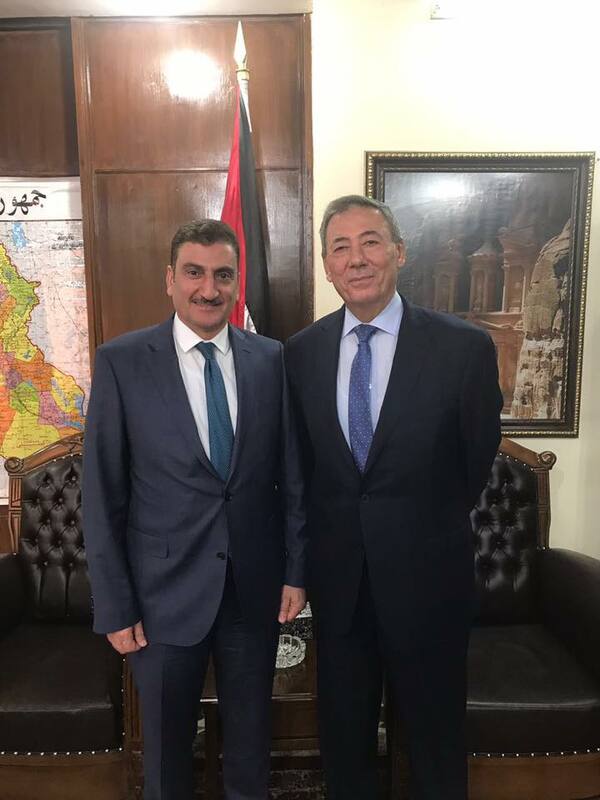 Dr. Montaser Al Zou’bi, Jordanian Ambassador in Baghdad, who extended his support and that of the Government of Jordan to the Anbar Fourth Annual International Investment Conference scheduled for October 17 and 18 in Amman. The meeting focused on mechanisms of cooperation to ensure the success of the conference and highlighted the several mega investment-ready opportunities available in Anbar which will be presented at the conference. Chairman Al-Noman expressed his support to Jordanian companies interested in seeking these opportunities and discussed the details of the joint Iraqi-Jordanian industrial city project to be established on the border between Jordan and Iraq.